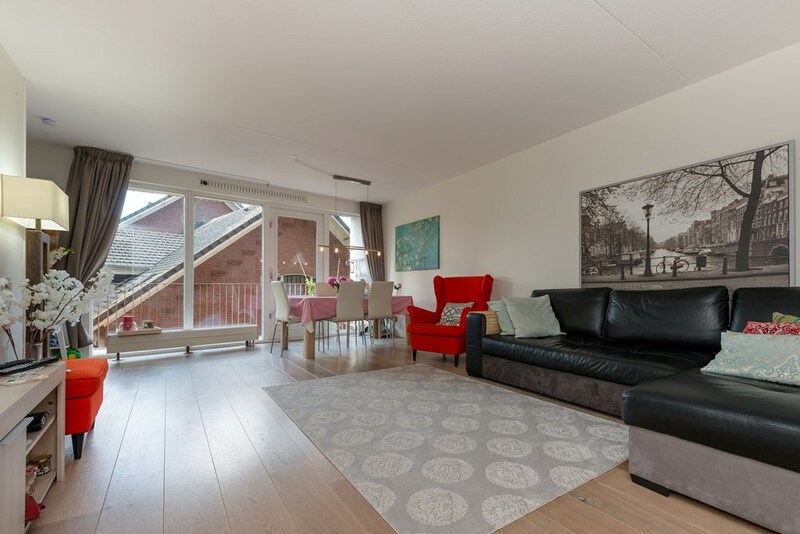 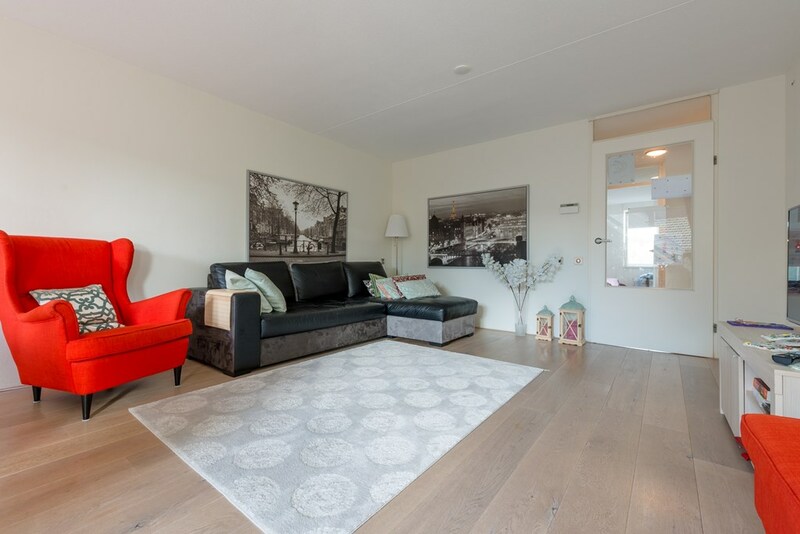 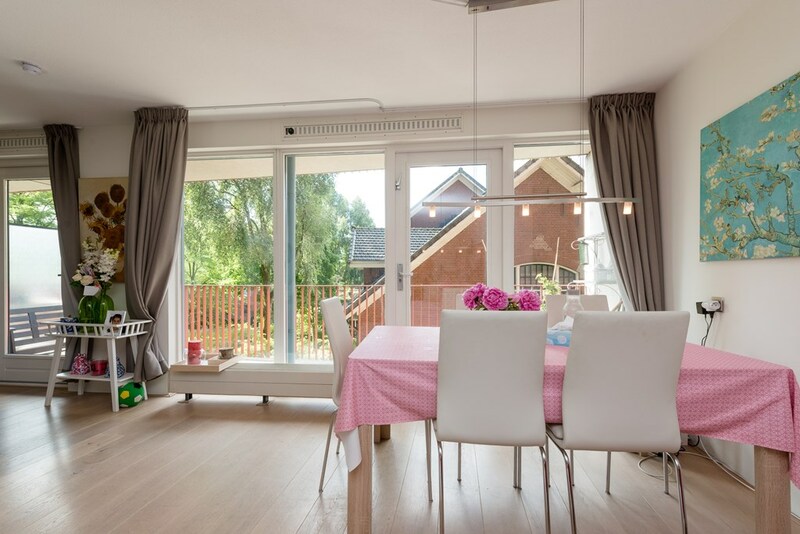 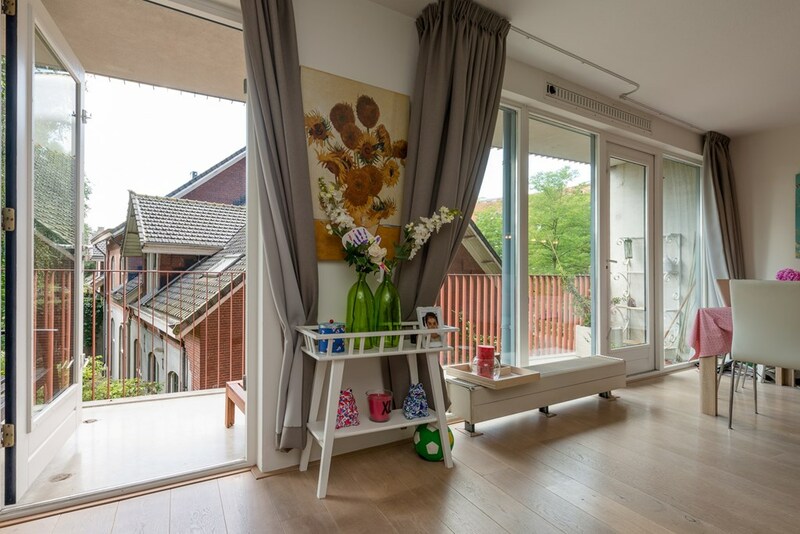 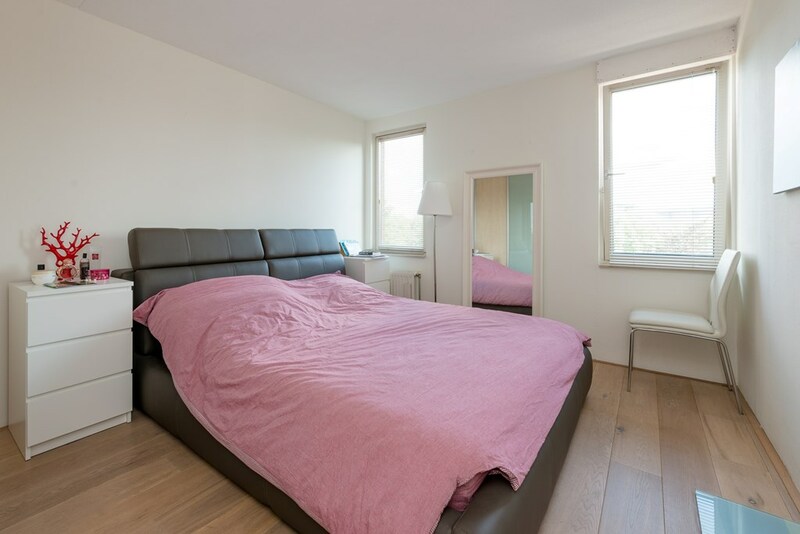 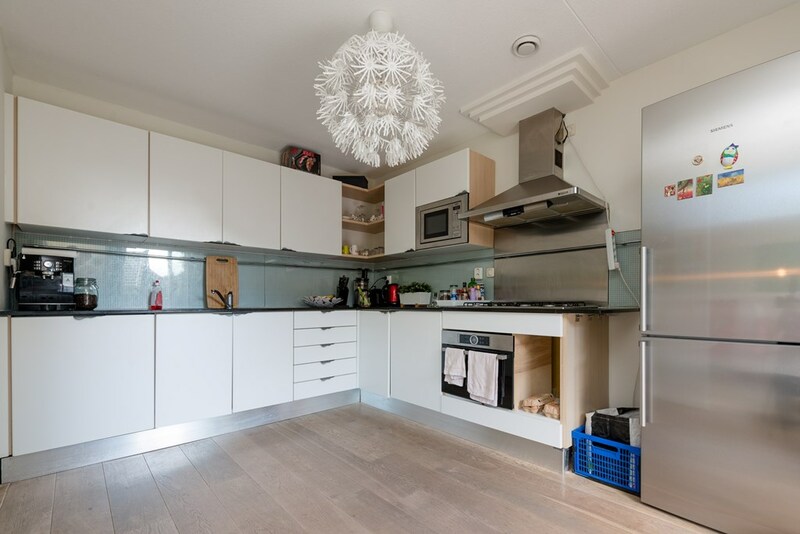 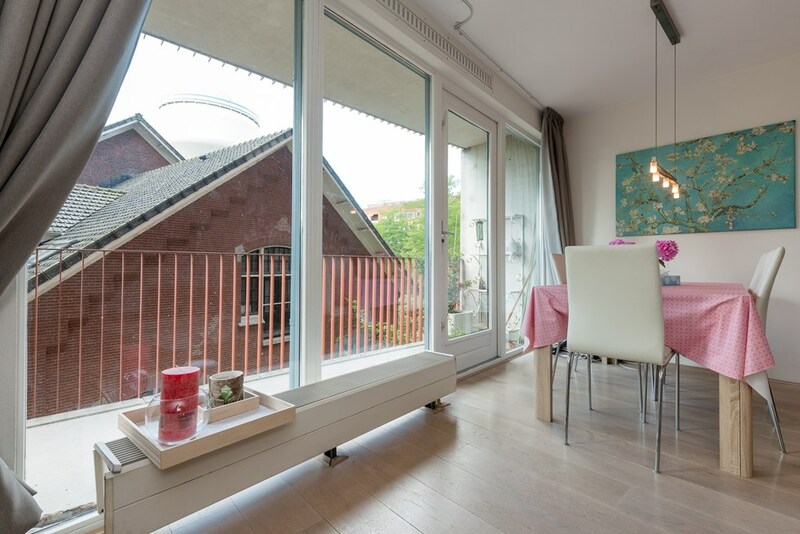 This bright two-bedroom apartment 80m2 with a south-facing terrace of 10m2 is located in the popular and cosy Westerpark neighbourhood . 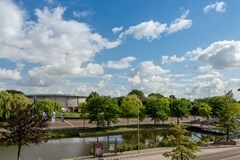 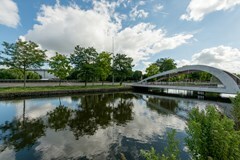 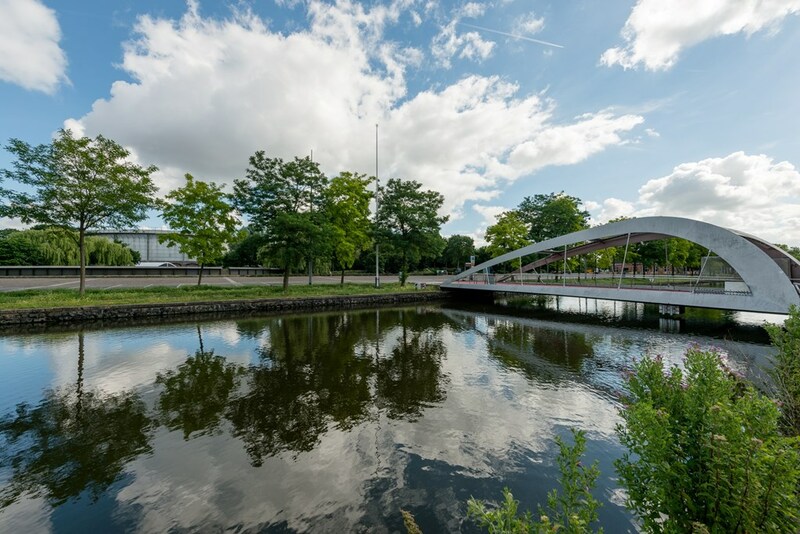 The Westerpark is directly across the road and offers a unique combination of nature and culture with plenty of opportunities for sports, relaxation and recreation. 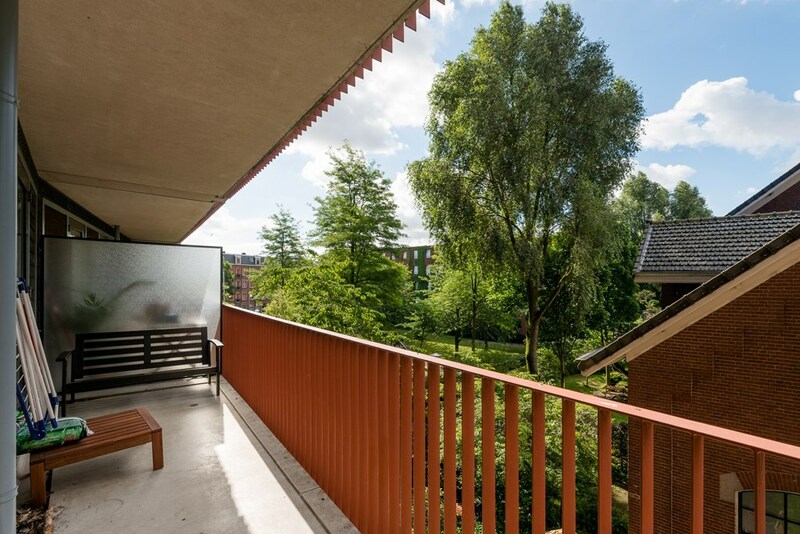 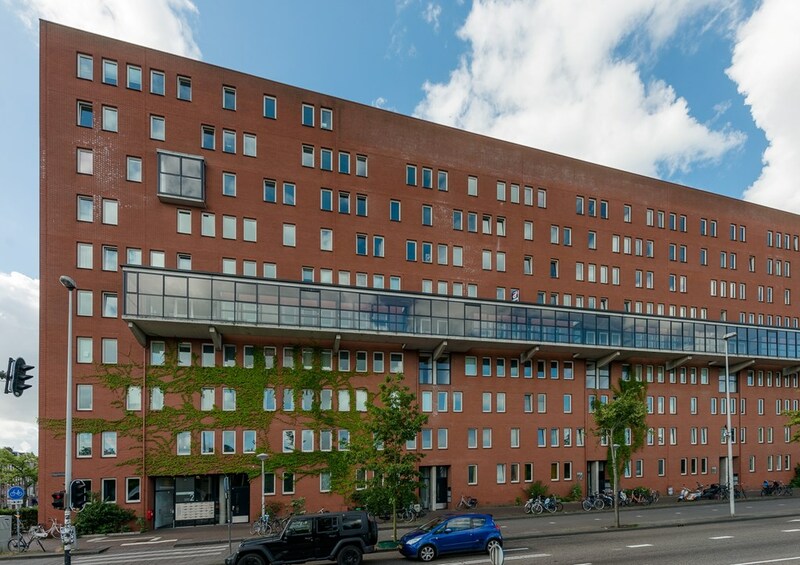 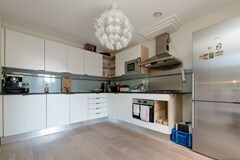 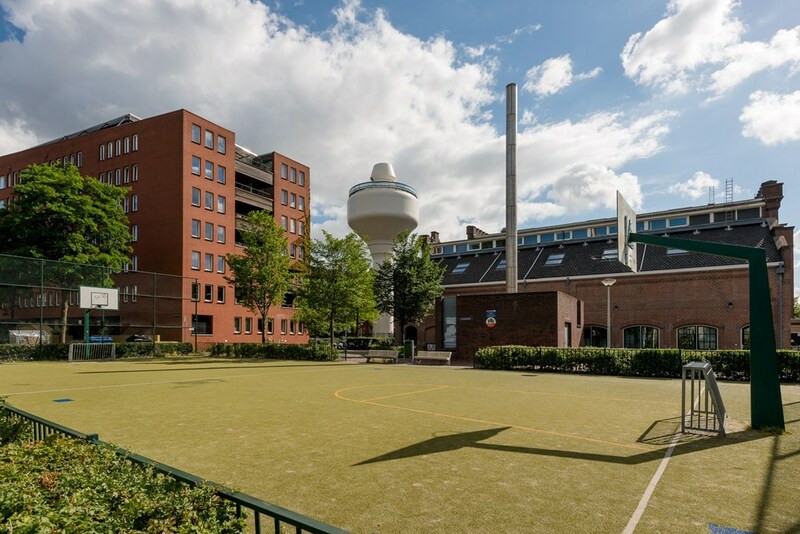 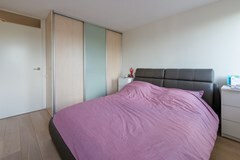 This modern apartment is located on the car-free GWL site (the former ground of de Gemeentewaterleidingen). 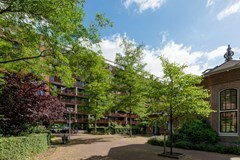 This is an exceptionally green, peaceful and atmospheric child-friendly neighbourhood with all the urban amenities a stone's throw away. 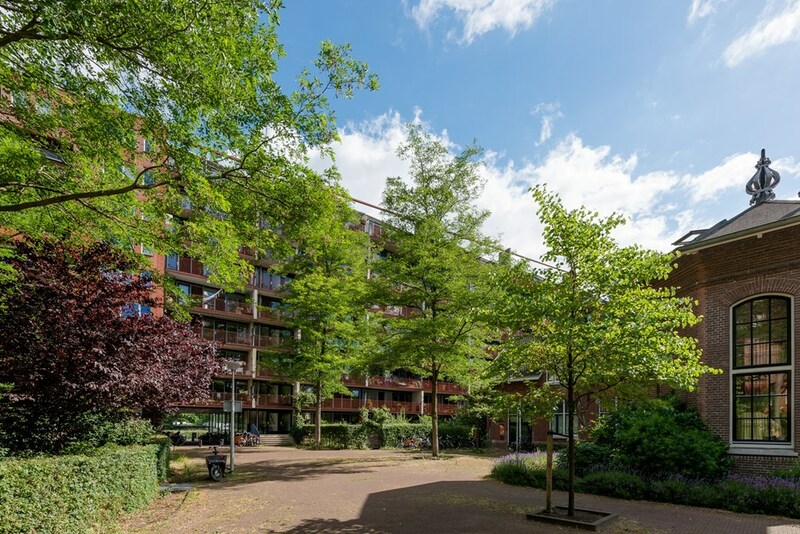 The cosy Westerparkbuurt offers a wide range of shops, cafes and restaurants, such as Westergasterras, Pacific Parc, the Ketelhuis cinema and more. All shops for daily groceries are close by. The area is well accessible with tram 10 and bus 21, directly to the Central from CS. 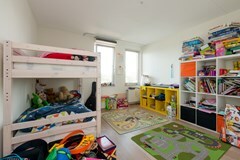 The A10 Highway is only a few minutes away. 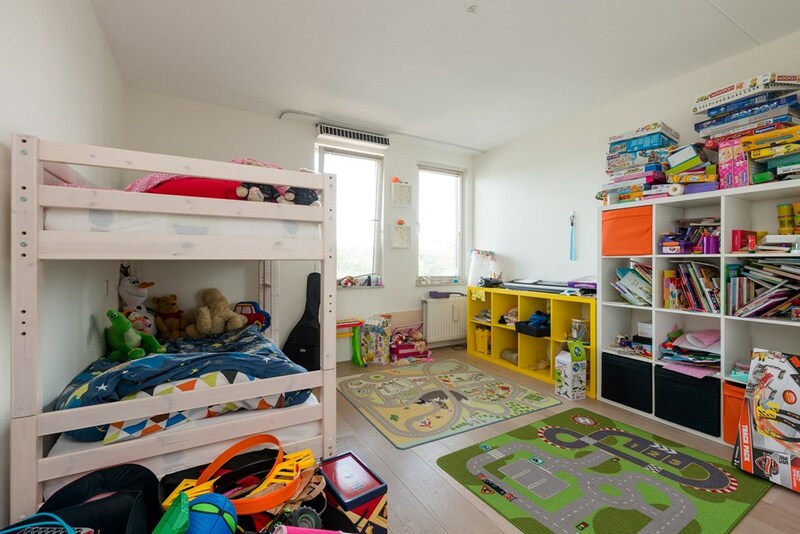 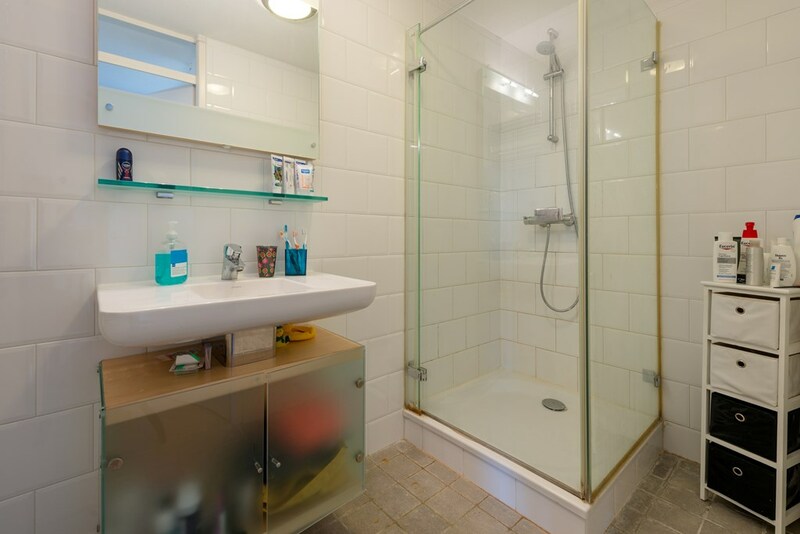 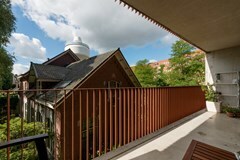 The hall gives access to the two bedrooms, the bathroom has a shower, a separate toilet, a cabinet with the district heating system and a spacious storage cabinet with washer and dryer. 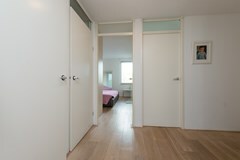 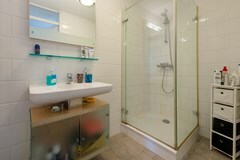 In the basement there is a spacious storage with good access for the bicycle.